SponsoredWhat better way to spend your money than refreshing your home for February? We’re very nearly at the end of what feels like the longest month ever, and it’s time to celebrate with a pay day treat. As the shopping destination that lets you purchase almost anything for your home, from a stylish new ottoman bed to an outdoor playhouse for the kids, Wayfair offers savvy-spending at its finest. So why not spruce up your home this month by adding a little bit of newness in each room? And, right now they’ve got a bedroom furniture sale on too that you don’t want to miss. Want to jazz up your bedroom for 2019 but don’t want to go crazy? A new pair of bedside tables will do the trick. Whether you’re a lover of modern furniture or prefer the shabby chic or industrial look, there are plenty of styles to choose from. Thinking of getting a new mattress soon? They say a good mattress can last for up to eight years, so it’s worth the investment for a comfortable night’s sleep. Those who sleep on their front should try a hard mattress out for size, side sleepers go straight for a medium to soft mattress and if you suffer with back pain and achy joints, opt for a memory foam mattress. Lighting can completely change the vibe of a room and is an affordable way to refresh a space. Snap up a modern floor lamp in Wayfair’s Payday Sale, or swap in some statement glass side lamps on a bedside table. Sale now on. A rug, no matter how big or small can add instant cosiness to any room. Whether you’d like something warm to put your feet on when you hop out of bed in the morning or are looking to layer on a carpeted floor; rugs are the perfect way to easily add both colour and texture. 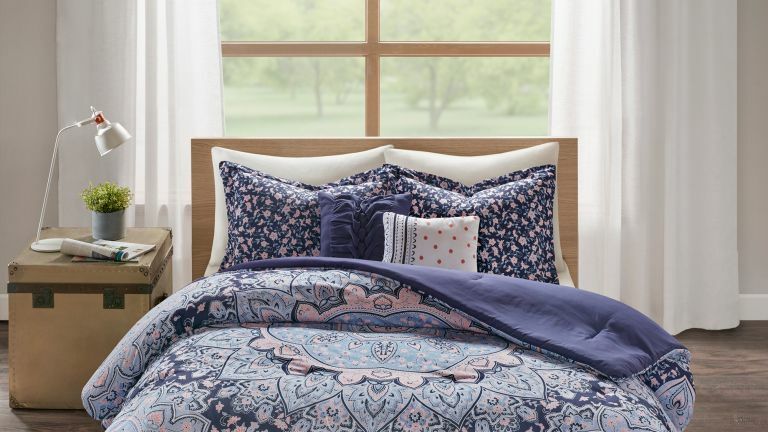 New year calls for new bedding, and with a choice as wide as Wayfair’s, you’re going to struggle to choose a favourite. Opt for some Egyptian cotton bedlinen for a cosy night’s sleep, some organic bedding if you’re feeling green or something with a pattern to add interest. Because what’s better than getting into fresh, brand new bedsheets at night? Dining table worn out from all that entertaining? It’s pay day, and the expense of Christmas is out of the way for nearly a year, so why not invest in a new dining table while you can? From extendable dining tables to glass ones or even oak, take your pick. A coffee table has the ability to change the dynamic of any living room, so whether you want to go daring with a concrete one or safe with glass, choose wisely and consider your other furniture. You can also get extendable ones for when you have guests and you want somewhere to put your nibbles. Get the best coffee table deal from Wayfair. Looking for a place to store your blankets, shoes or the kids’ toys? Storage furniture is certainly useful at this time of year. Choose from a storage bench, a cabinet or chest, some shelves or racks or even just a simple hand-woven basket. Hiding your harsh-on-the-eye items is the first rule when it comes to making sure your home looks the part. 9. New year, new kitchenware? For an easy kitchen refresh, add some new kitchenware to your wish list. Whether you prefer classic tableware, family-friendly options or modern dinner sets, neaten up your dining table not just in time for Valentine’s Day, but because before you know it it’ll be time to celebrate Easter. Give your home a new look for less this pay day by purchasing a new mirror. Wall, floor, over-mantel or leaner – whatever style you fancy, Wayfair has it. Opt for a large statement mirror to add depth to a small space. If you want to give your bedroom a change of look but don’t have the money to spend on a new bed entirely, then why not just change your headboard? Whether you’d rather go for daring or basic, there are velvet, wooden and leather ones to choose from, among many more. On the hunt for a new bed? Head to Wayfair for the best deals this pay day!